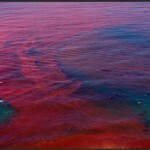 Ohio Sea Gra nt will be sponsoring the webinar “Harmful Algal Blooms in Lake Erie” on July 5, 2012. If you would like to participate, please register by clicking here. If you would like to read about harmful algal blooms in Ohio waters, check out the Ohio Sea Grant Fact Sheet by clicking here.